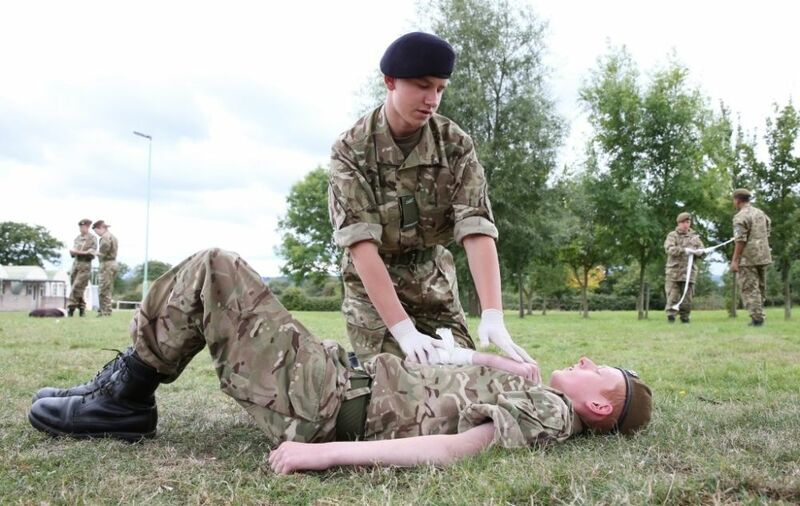 Ten teams of ACF cadets and nine teams of CFAVs are taking part in this year’s National and Inter-Service First Aid Competitions (from 17-18 October at Strensall near York). The ACF teams comprise cadets and adults from 14 counties. Each team is already a winner, having won through in County and in Brigade competitions to qualify for a place in the challenging two-day event. At the start of the event, ACF, Combined Cadet Force (CCF) and Sea Cadet Corps (SCC) cadet teams and ACF Senior Teams will each compete in separate streams in their own National Competitions with the aim of winning a coveted gold National Competition Winners Badge. 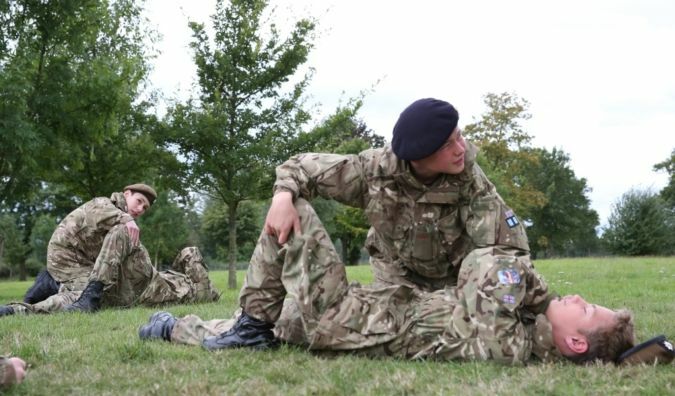 The two best placed ACF, CCF and SCC cadet teams will then compete for the Inter Services Cadet trophy (joined by the two highest placed Air Training Corps (ATC) teams from their recent national competition). The two best placed ACF senior teams will be joined by the ATC and CCF senior teams to compete for the senior Teams Inter Services trophy. 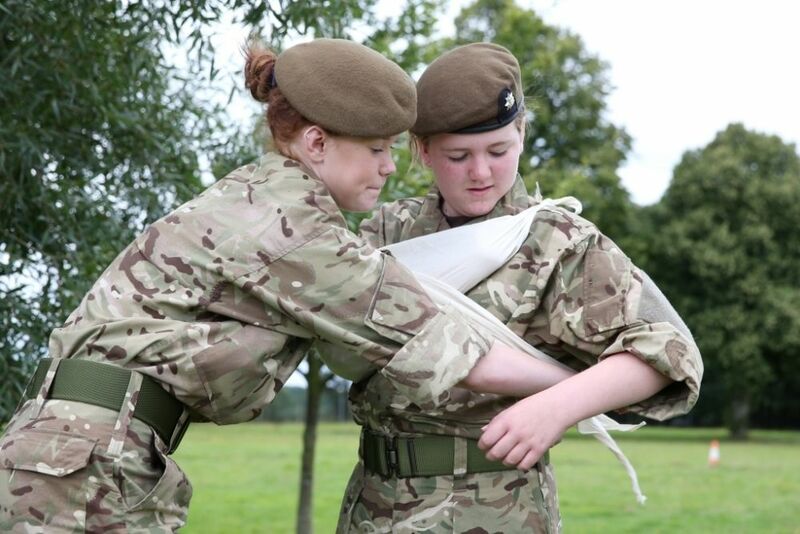 The ACF cadet teams taking part are from Dorset, Surrey, 1st Northern Ireland Battalion, 2 Highlanders Battalion, Cambridgeshire, Merseyside, Durham, Dyfed and Glamorgan, Warwickshire and West Midland South Sector, and City of London and North East. Counties represented in the ACF Senior Team competitions (for adults aged 17-23) are: Dorset, Surrey, 1st Northern Ireland Battalion, South East London, Essex, Merseyside, Durham, Dyfed and Glamorgan and Staffordshire and West Midland North Sector. Lieutenant Colonel Alan Sharkey, ACFA’s first aid advisor, said: “The event is managed and run by the ACFA but it takes around 100 people to help make it happen. Our volunteers include judges from St John Ambulance and Fenland First Aid; the staff of 2 Medical Brigade, 34 Field Hospital and Army Medical Services Training Centre; and many willing ‘casualties’ from the Beds and Cams Wing of the ATC and from ACF counties, all of whom are giving up their valuable time. I would like to thank them all and to give a special mention to Recruiting Group which is providing all the medals for the event and a new trophy for the runners up in the CCF National Competition.